Every professional travel writer, it seems, has a happy place, a destination where they return not so much to gather new material, but to unwind and relax. For me, that place is Sanibel Island, Florida. My parents started taking us to Sanibel when I was a teenager. Eventually, they bought a condo there and now spend most of the winter on the Florida Gulf Coast. I’ve visited almost every year since I was 16; I love the area so much that I chose to get married on neighboring Captiva Island. 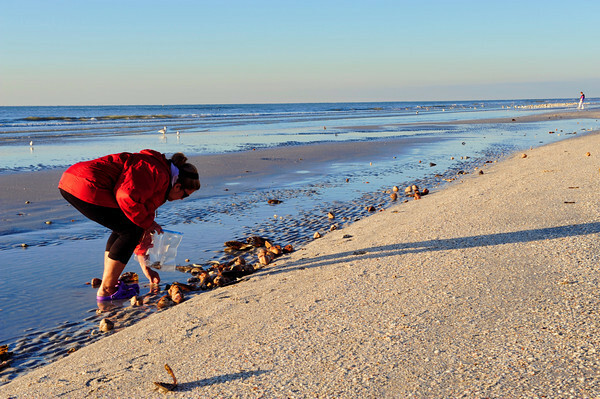 Sanibel’s claim to fame is the vast amount of shells that wash up on its beach every day. The island has an eco bent, and unlike other beaches on Florida’s Gulf Coast, resorts and condo associations are forbidden from removing sea debris. That bothers some people, who don’t like seeing seaweed, horseshoe crab skeletons and other things that wash up (I’ve seen everything from starfish to sand dollars to an immense dead sea turtle). But for shellers, it’s paradise. There’s even a name for the bent over posture of the people who you see walking the beach looking for treaures: The Sanibel Stoop. The island has capitalized on its shelling reputation for more than a century. In the early 1900s, two of Sanibel’s first hotels, Casa Ybel and The Matthews, used to hold a competition for guests over who could find the best and rarest shell. Hallie “Granny” Matthews hosted the first Shell Show & Fair in her hotel lobby starting in the late 1920s, and by 1931, the event moved to the Sanibel Community Association’s (SCA) Community House. This year marks the 75th anniversary of the Sanibel Shell Fair & Show. In honor of the anniversary, businesses and associations will be holding “Shellebration” activities around the island, including an attempt to break the Guinness Book of World Record for number of people on a shell scavenger hunt. 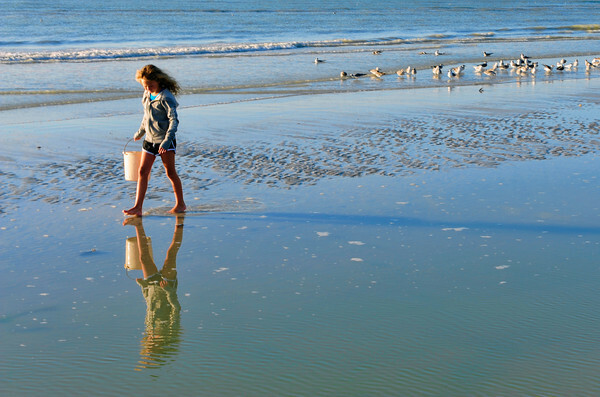 The “flash Sanibel stoop,” so to speak, will take place at 10 a.m. on Feb. 17 at Bowman’s Beach. Anyone who participates will be sign their names and be immortalized in an aerial photo that will be sent to Guinness (the current record is 208 people). If you’re still confused about what the Sanibel Stoop is, here’s a handy YouTube video that talks about how to do it. Happy shelling! Categories: Uncategorized | Tags: florida gulf coast, guinness book of world record, professional travel writer, sanibel island florida | Permalink.